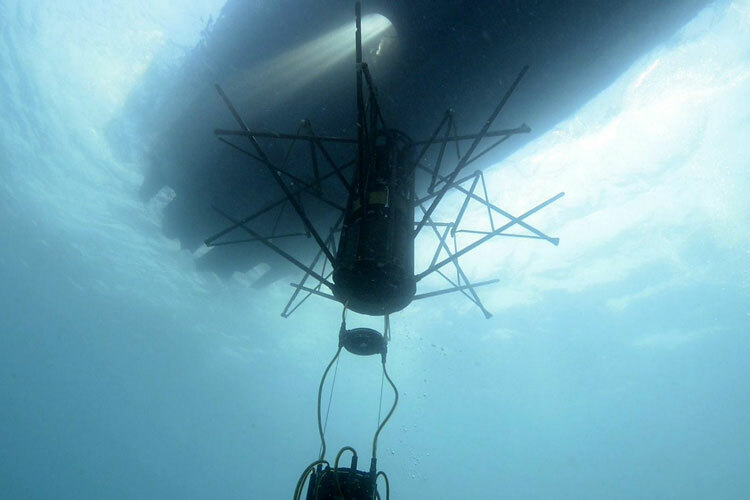 Elbit Systems has today announced that a HELRAS Dipping Sonar has completed a Sea Acceptance Test onboard the SEAGULL USV. Press Release, 07 February 2019: In a Sea Acceptance Test (SAT) performed by the Israeli Navy, a Helicopter Long-Range Active Sonar (HELRAS) dipping sonar was successfully converted for operation onboard the SEAGULL, Elbit Systems’ Unmanned Surface Vessel (USV). Operating a dipping sonar onboard a USV significantly increases the operational working time and substantially enhances that detection capabilities and the effectiveness of Anti-Submarine Warfare (ASW). Operational with the Israeli Navy, Elbit Systems’ SEAGULL USV performed superbly in the Belgian Defence Ministry 2017 North Sea trials and has been participating regularly in international naval exercises conducting Mine Counter Measures and Anti-Submarine Warfare missions. NATO forces deployed the SEAGULL USV during a Joint Anti-Submarine Warfare (ASW) exercise with the Spanish Navy’s Santa Maria-class frigate Victoria and the Royal Navy’s Type-45 HMS Duncan.